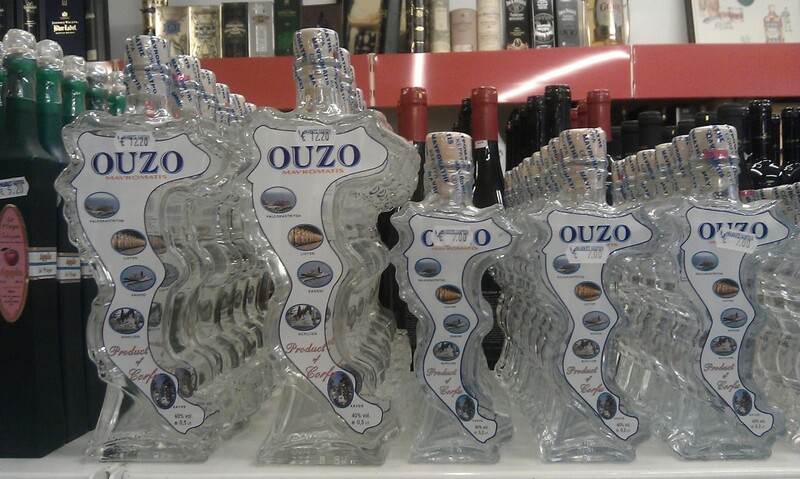 Bottles with Ouzo, shaped in the map of the island Kerkyra, Greece. 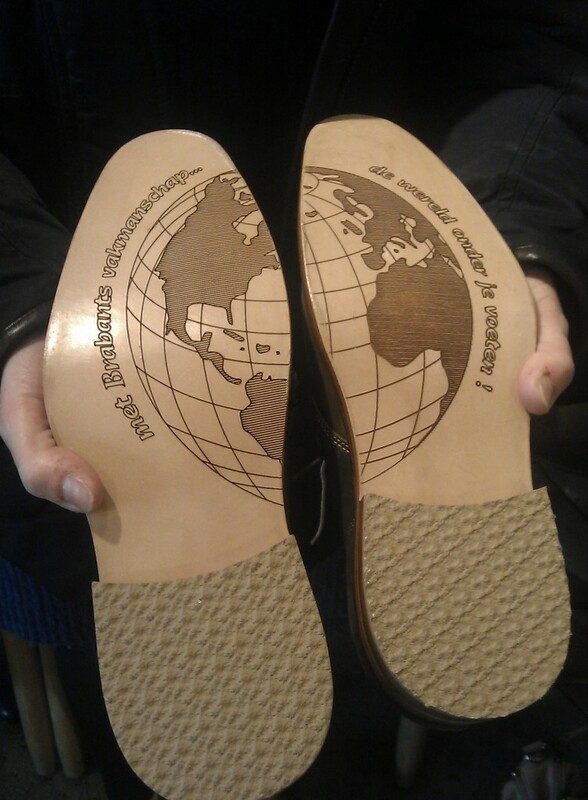 Walking planet Earth on Dutch shoes with a globemap on their soles. 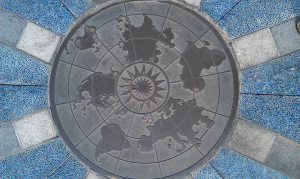 You enter Disneyland Hong Kong, by passing this special worldmap.